Bo specializes in representing buyer clients in the purchase of residential homes and representing sellers when they decide to sell their home. Individual investor buyers have found Bo's experience with property management, investment returns, and attention to detail the perfect match for their needs. Bo has trained thousands in Real Estate Courses throughout Alabama, and has used this knowledge to help people with a choice of a home for their families or a long-term investment. Gail recently achieved the CRB (Certified Residential Broker)through additional course work and tests. She devoted many hours in the classroom getting the vast knowledge she needed to better serve her clients. She tops all of this off with a pleasing caring personality and takes time to make her clients feel comfortable. She understands the stress involved with the largest purchase of her client's life. Gail has been in Montgomery since 1976 and knows and has many contacts within the tri-county area. She also sells commercial property and invests in real estate. Pick an agent who is caring and has the education and knowledge to represent ALL of your real estate needs. Catch this real estate ball... choose Gail Ball. As a lifelong resident of Montgomery, I attended public schools from kindergarten through college earning a Master of Public Administration (MPA) degree from Auburn University in Montgomery. While I am currently employed with the State of Alabama, it is now time for me to follow my heart of helping people find the home or parcel of land they love with honesty, integrity, patience, and joy! Real Estate has been a passion of mine for quite some time. A wise person said, There is a time and season for everything under the sun. This I found to be the case and it is the appropriate time for me to help others achieve their goals and dreams of home ownership. I am a graduate of Auburn, Montgomery campus, with a B.S. in business management. I am currently the owner and operator of A+ Details, specializing in boat and auto detailing. Twelve years of business in Kowaliga, Al. has afforded me the learn and familiarize myself with the Lake Martin area. I have worked with the Elmore County Transportation system for 11 years, so I am familiar with this are and the Montgomery area. Whether looking for a rental, buying or selling a home, let me be the one who serves your needs. Keith has been in education for years. First as a teacher and now as an assistant principal at a local junior high school. Keith knows how to listen and how to solve your real estate needs. The Goodson Group property management department is a full service management company. We advertise the property in the newspaper and a number of websites. All our Agents are trained to show and educated potential tenants about the rental process. We screen potential tenants and prepare leases for tenants. We handle repair problems that may arise with properties, etc. The Goodson Group boasts an inventory of over 90 rental homes in the tri-county area. 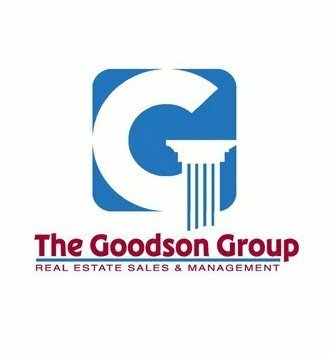 Call The Goodson Group property management department today at (334) 558-0379 or send an email to propertymanagement@thegoodsongroup.com and let us handle your property management needs. Sam comes to The Goodson Group from a successful career in the Air Force as a Chief Master Sergeant (Retired) and as a Management Analyst for the people of the State of Alabama. His total background within the Montgomery, Alabama Community is ideally suited for interaction with the people of Montgomery and the surrounding communities. His vast experience with people and listening to their needs make him a very positive force for persons looking to fulfill their needs and desires for their family home. Cristi has a passion for helping others. Her dedication to hard work, attention to detail, and caring nature are a perfect match for current homeowners as well as those looking to become homeowners. Cristi has been a resident of the River Region area for more than 25 years. Along with their three young children, Cristi and her husband, John, currently reside in Elmore County.